A fashionable leash that will stand the test of time. 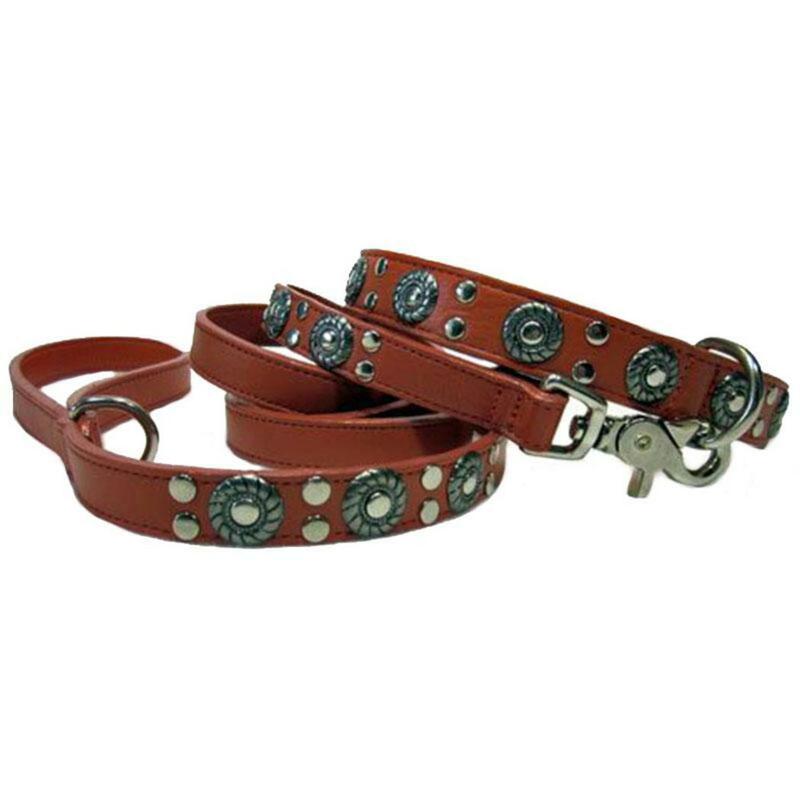 The fine leather offers comfort and durability and the nickel and stud ornaments are a classic. Customize this masculine look with all nickel or mix the nickel with the brass hardware. Each leash is leather on both sides with hand-painted edges. A nickel D-ring is attached near the handle so you can attach a poop bag holder if you choose. The hook size varies according to the width of the leash. This fine line of custom designer leather dog collars and leads are all proudly made in the USA. Please choose size and hardware choice. We estimate delivery as approximately 4-5 weeks but will try our best to get it to you sooner. Quality and attention go into every detail of this handcrafted designer leather dog lead ensuring it will truly be worth the wait. Matching Stud and Jacket collar available. 4 ft x 3/4", 4 ft x 1"
5 ft x 3/4", 5 ft x 1"
6 ft x 3/4", 6 ft x 1"